If there was one movie, even just one piece of art, that would inspire a change in my life, it was this. That set me on a different path than I would’ve otherwise been on, that would lead me to meet people and make friends and have experiences I otherwise would not have, it was Roadracers. I saw this the night it premiered in 1994. It was made for Showtime, the first in a series called Rebel Highway. I thought I was in for some of that old “so bad it’s good” but ended up having my young mind blown. I was never the same after this, and the attempt to recreate the soundtrack (advertised as being available in the end credits, but never was) set me on to the secret Rock’n’Roll of the 50’s. Link Wray, Gene Vincent, Hasil Adkins, Charlie Feathers….the bug bit and I was deep in a spell. I went from wanting to act in plays to wanting to start a band and be the play. First day of school Sophomore year, I looked as much like the kid in this as possible. My mom said “There’s a difference between expressing yourself and just being weird” and made me shave. But I kept the black leather jacket, cuffed jeans, and the grease in my hair until at least the year 2000. I had blown off all my old friends in the advanced classes and got in with roughnecks and burnouts, and spent a lot of time and money at a record store where the proprietor, many years my senior, understood. 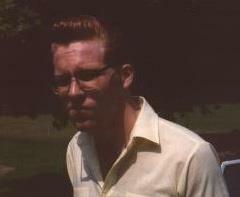 But it wasn’t until the summer of 1997 at David Loehr’s 5th Annual Rockabilly Rebel Weekend that I found my true home. As a kid in school, I thought nobody my age but me would be sent by these sounds. But here I was, in a new home. In short order I had a band, picked up a nickname that stuck (“Your parents name you, but they have no idea who you are. Your friends nickname you because they know exactly who you are” said Sting, and he would know), and just never looked back. It was like I joined the circus and ran away from home. Watching it now? Pretty corny. Teddy Leather’s hair is entirely too long for the period, and there’s any number of other faults you might find, but for my teenage brain this was the greatest thing I’d ever seen. It’s fun as hell. I won’t spoil it, but it has one of the best endings of any movie I’ve ever seen. 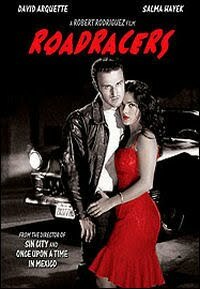 You can find it now on DVD, it includes a fantastic director’s commentary, in which Robert Rodriguez tells you all about what it was like shooting such a production with a million dollars in 2 weeks, what meeting Link Wray was like, and just how much Johnny Reno had to do with it (a lot).